Browse » Home » Unexplained Earth Phenomena/ Events » Has Nessie finally been caught on video? On any other stretch of water it probably wouldn’t garner a second glance. But this is monster territory. 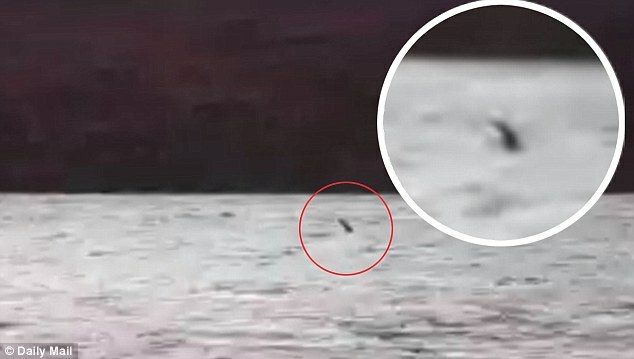 Footage of a shadowy figure briefly emerging from the depths of Loch Ness has once again fuelled speculation that its legendary resident is alive and well. Grainy footage has emerged showing a long and thin shape swaying in the water that bears a striking resemblance to Nessie’s fabled slender neck. The video shows the object waving in the choppy water, around 500ft from the loch’s shore. It was captured by Richard Collis – who counts himself amongst the most ardent Nessie cynics after years of fishing on the waters without a sighting.